The medical office of Hilary J. Fausett, M.D. Hilary J Fausett, M.D. is a Board Certified Pain Management Specialist. She received her undergraduate degree from the University of Southern California and her Medical Degree from the University of California, San Francisco. Dr. Fausett completed all of her post-graduate training at Harvard University Hospitals. Following her Residency in Anaesthesia at the Massachusetts General Hospital, Dr. Fausett completed her Fellowship in Pain Management at Beth Israel-Deaconess Medical Center. Following her training, she served on the Pain Management teaching staff of Harvard Medical School at the Beth Israel-Deaconess Medical Center. 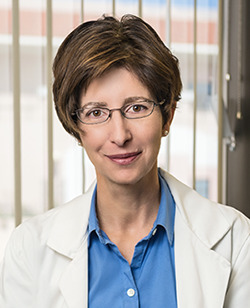 After leaving her academic position at Harvard University, Dr. Fausett was a Director of Pain Management at Kaiser Los Angeles before creating the Foothill Center of Wellness and Pain Management in 2003. She was the Co-Editor of the Manual of Pain Management (Lippincott Williams 2002). Dr. Fausett has admitting privileges at Huntington Hospital in Pasadena, California and Glendale Adventist Hospital in Glendale, California.